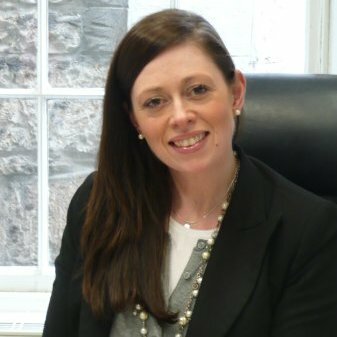 Bonnie Clarke is Director for Scotland for Badenoch & Clark, an internationally recognised; award winning leader in professional services recruitment. In Scotland Badenoch and Clarke support clients in the recruitment of experts from a wide range of professions from Human Resources to Banking and Finance, Procurement, Sales & Marketing to Social Care and Social Housing. Badenoch & Clark have appeared in the Sunday Times ‘100 Best Companies to Work For’ list for four consecutive years. Bonnie recently won the inaugural HR Network Scotland Award for Recruitment Consultant of the Year. Bonnie regularly volunteers as a business mentor for Women in Business start ups in association with a range of charities and social enterprises and is a key member of the3rdimagazine business support initiative, Fair Comment. I met Bonnie to find out more about her career in recruitment and for her to share her story with readers of the3rdimagazine. I have been one of the many women who has benefitted from Bonnie’s generosity in time and mentorship. She has made a great difference to the way my business has developed and has a genuine concern for all business people developing their individual skills and “playing to their strengths”. I wish her further success in her new role. Thanks so much for your kind comments. Playing to our Stranghs is totally my motto.